What day of the week should you back up your computer? That’s a trick question. The answer is every day of the week. Or at least, every day of the week that you use your computer. I had a great vacation over the holidays, spending time with family I don’t get to see very often and having the opportunity to lecture them about passwords and backups. This is a lecture that I give fairly frequently, including at least twice while running with friends. Yes, I’m that person. If you are a friend or family, or sometimes a random stranger, you will learn the importance of backing up your devices. Every day you use your computer is a day you back up your computer. There are no exceptions. A friend was saying how she didn’t back up her computer and I asked her if she had any family photos on it. “Yes,” she said. Years and years of them. Guess what happens to those photos if your hard drive dies and you don’t have a backup? Gone forever. 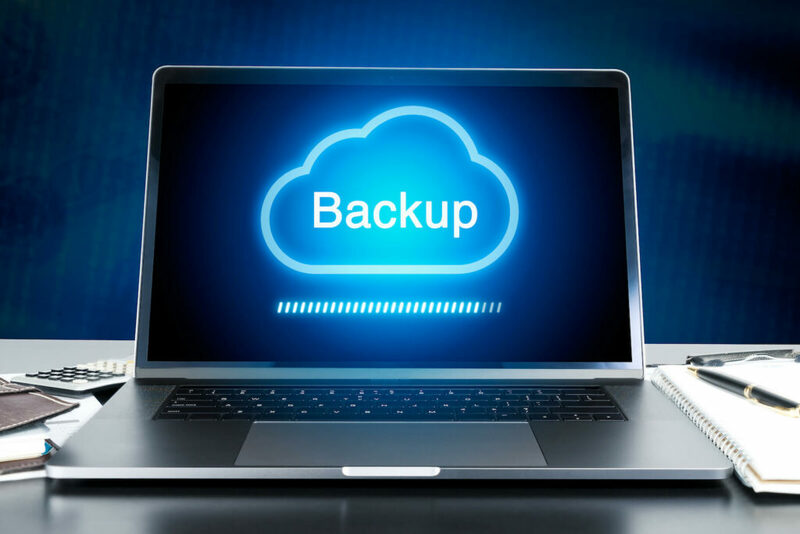 Store a set of backups in the cloud. At a minimum, have your computer backing up to the cloud but I recommend that you back up to multiple locations. I back up my computer both to an external hard drive AND to a backup cloud account. Why two? Well, I used to only backup to an external drive and thought that was good enough. Then I saw a story about how someone’s house burned down and it ruined everything inside it. The backup drive is for easy access if my hard drive dies – the most likely issues that could happen (and has happened to me), so I can pull everything back onto a new hard drive. But I had no contingency plan for if both my computer and my drive were burned in a fire. Remember all those family photos? If you aren’t backing up to the cloud and your house burns down, those are gone too if you aren’t in the cloud. Yes, you have to pay for these services, but they aren’t that much all things considered. Is saving your children’s baby pictures worth $50 a year? I think so. All the time I see posts on social media about people breaking or losing their phones and no longer having anyone’s phone number. My automatic response is ARE YOU KIDDING ME? As a society, we keep everything on our smart phones. Our favorite photos, our payment information, data in our favorite apps, and all our contact information, all kinds of stuff stored in our Apple wallets like plane and event tickets. I have phone numbers and addresses in my phone for hundreds of people. It is also important that you back up your phone. Basically, any device you use and store data on, that is a device that should be backed up with regularity.